Composers have always been inclined to take note of their contemporaries, often learning from apparently unconnected works. Herein lies the spirit of artistic influence. Courtesy of this cultural interchange it is possible to discern in music quotations, distant echoes, resemblances or even professed tributes. 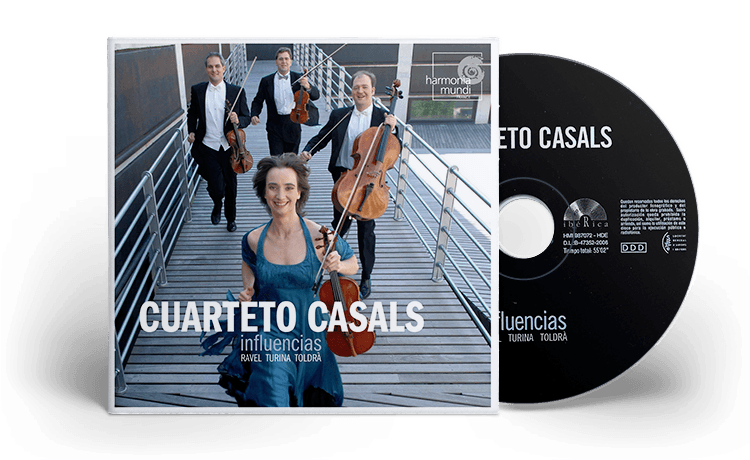 That same theory stating that everything is interconnected is the one which permits the Cuarteto Casals to link figures as diverse as Toldrà, Turina and Ravel. Eduard Toldrà. "Vistes al Mar"